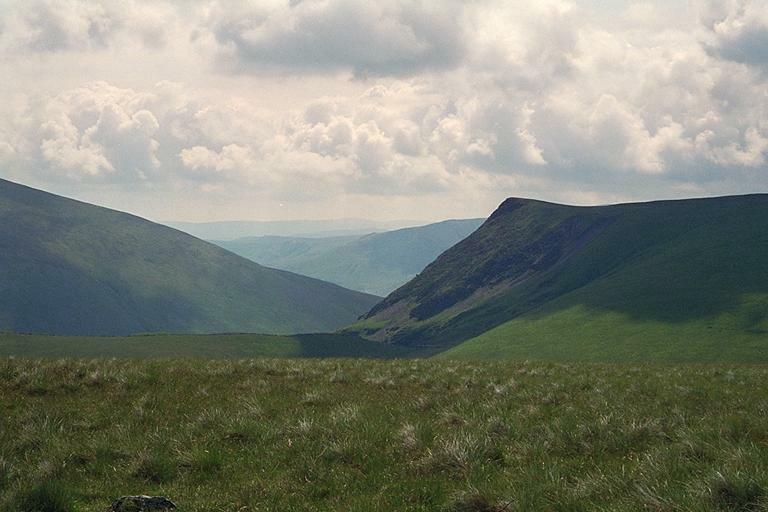 Through the gap between Blease Fell (Blencathra) on the left and the imposing Lonscale Fell on the right Clough Head appears, with the High Street range on the horizon. In the foreground beyond the flattish top of Sale How is the oddly named Burnt Horse ridge. Smaller version of this picture.